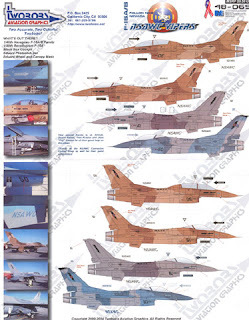 REPUBLIKA.CO.ID, JAKARTA - Indonesian National Army (TNI) received a grant offer of two fighter squadrons of F-16A / B "Fighting Falcon" from the United States (U.S.). TNI TNI Commander Rear Admiral Agus Suhartono told ANTARA here on Monday put forward, the approval process has delivered the Ministry of Defence and is now awaiting confirmation from the U.S. side. "The process is running, has been followed also by the Ministry of Defence and currently we are awaiting further confirmation from the U.S. about RI approval for these grants," he said. Agus said, the military considerations received a grant of two squadrons of F-16A / B Fighting Falcon is due to more effective and efficient to buy six new aircraft type. "The TNI has programmed procurement of six F-16 aircraft from the U.S. in 2014 new, more sophisticated. However, in terms of price is more efficient if we receive a grant of two F-16 squadron," he said. In terms of technology, advanced military commander, the 24th aircraft unit that grants can be "upgraded" adapted to the latest technology equivalent to the latest F-16 variants namely the F-16 C / D Block 52. "The system avioniknya we 'up-grade', including its weaponry system, the F-16 aircraft which granted it is still very 'qualified' as weapons deterrent effect," he said. 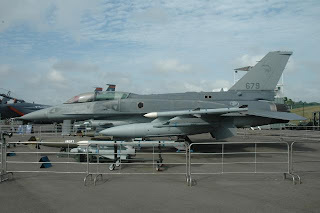 In fact, the life of the aircraft the F-16 which granted it could still reach 20 to 25 years. "So, more effective and efficient we receive the grant, rather than buy six new aircraft type," he explained. Head of Information Department of the Air Force Air Marshal TNI TNI Bambang Samoedro First said it hoped to grant it, the military immediately to meet the most of its combat squadrons.